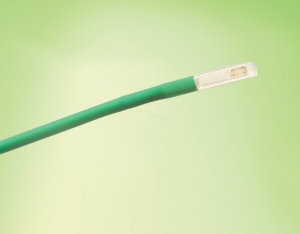 Using patented technology OpSens can offer a wide range of fibre optic sensors to suit a variety of applications. With a variety of packaging and cabling options the sensors can be exposed to extremely harsh environments with ‘fit and forget‘ a genuine opportunity – especially important in hard to reach or service areas. Due to the nature of the technology sensors are EMI / RFI / microwave immune. Contact us to discuss with one of our technical sales engineers how fibre optic sensors can be used in your application. OpSens OPP series fibre optic pressure transducers are designed to provide accurate pressure measurement in the most adverse conditions. Its small size and EMI/RFI/MRI immunity makes it the ideal sensor many industrial applications. 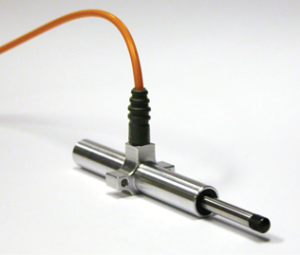 Sensors are available in a wide variety of packaging including metal or ceramic up to 1000 psia with higher pressure sensors currently under development. 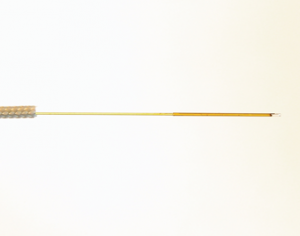 The WLPI (White light interferometry) technology optical temperature sensor is highly robust, offers a resolution of 0.01°C the highest in the industry and an excellent accuracy of ± 0.15°C. Using the monocrystaline birefringence crystal as temperature transduction, The OTP series does not show thermal creeping or aging assuring long term reliability. 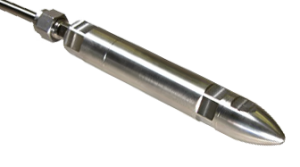 OpSens OSP-A fibre optic strain transducers are designed to provide accurate deformation measurement in the most adverse conditions. Its small size and EMI/RFI/MRI and lightning immunity makes it the ideal sensor for geotechnical, structural health monitoring, Defense and aerospace and general applications. Available in both 25mm and 10mm linear stroke, the design guaranties a long lifetime even in harsh environments. Fibre optic linear displacement sensor is ideal for real-time monitoring of civil engineering structures, structural monitoring of aircraft, both in-flight and on-ground, smart structures instrumentations, concrete structures and other industrial applications where long term reliability is demanded. Designed for harsh environment, these multipurpose extensometers are packaged to fit the challenging environment of any structure monitoring applications. Built in robust alloy, they can be even adapted for usage in permanent immersed applications such as those related to dam or tank and even pressurized environment like penstock pipes up to a pressure of 300 bar.